Set in traditional Old Montreal architecture, the Deluxe loft consist of a open space concept with one king bed located on a mezzanine. Stone walls set the tone of the loft which is furnished in contemporary style, while still maintaining a classic feel. Complete, with spacious dining area, living room with a pull out sofa, works space, kitchen, and bathroom, this Deluxe loft provides all essentials necessary for a comfortable short or extended stay. 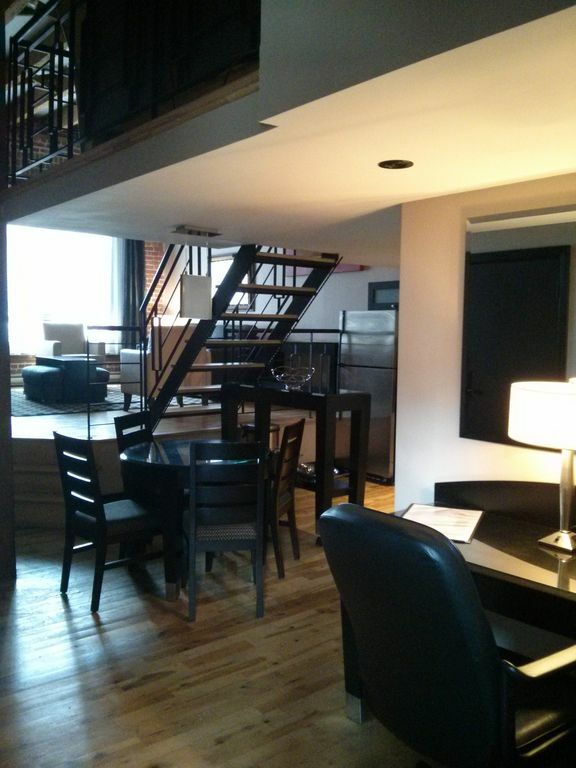 Size of loft: Approximately 1000 square feet.